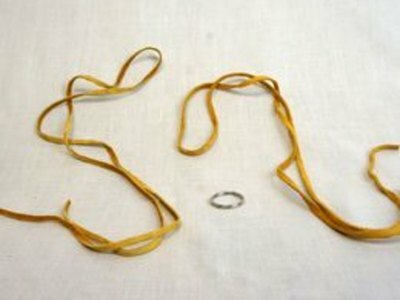 While popular in jewelry today, the origins of braiding leather have more to do with physical properties than appearance. 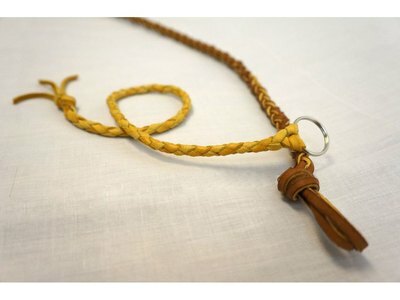 Braided leather is stronger and more supple than an equally sized single strand. 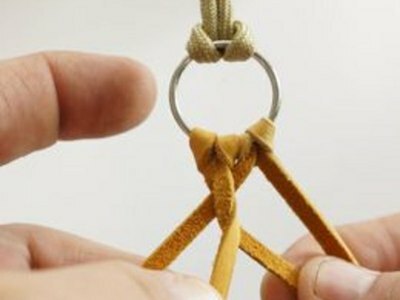 Whether you're making a bracelet, a keychain, a dog leash or equestrian tack, the weave is the same, it's just a matter of the size of the strands. 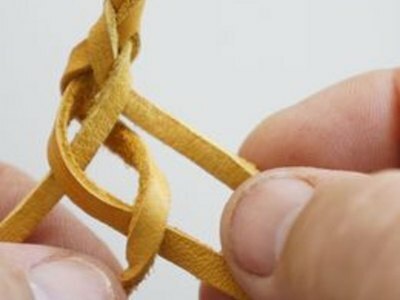 Round braiding leather involves an even number of strands, with a minimum of four. 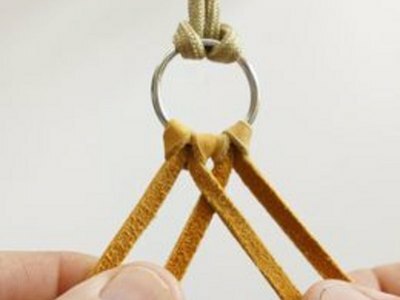 Beginners should start with four strands as detailed here. Please see the last slide for an itemized list of tools and materials. Double over each lace, slip the center through the split ring and pull the ends through the loop formed at the center. 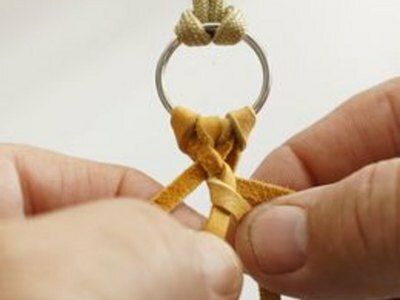 If you don't have a split ring, you can simply tie the laces together with an overhand knot. Secure the end so that you can pull tension against it. You can tape it down to your worktable or hook it over a nail. Spread the laces wide so it's easy to keep track of them. Cross the second lace from the left over the second lace from the right. Take the left lace behind the two middle laces, around their intersection and then down between them. Snug the lacing up against the split ring. Take the right lace behind the two middle laces, around their intersection and down between them, as you just did from the other side. The rest of the braid is simply alternating from side to side as you've just completed; left side behind two and around one, then right side behind two and and around one. After the first four ties, the smooth finished side of the leather should be facing you on all four lines. To keep the braid round and symmetrical, when you bring the line behind the back of the middle lines, you need to roll it as it comes around to the front. This will keep the smooth finish out on all the lines, all the time. 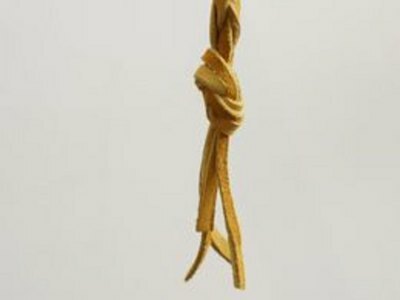 When you reach the end of your lines, finish by tying an overhand knot that catches the last few weaves of the braid. Square lace is difficult to weave into a uniform round braid. Lace that is wider than it is thick is much easier to work with. Look for lace that is uniform in thickness and width. Stiff leather makes for a very strong braid, but is hard to work with. 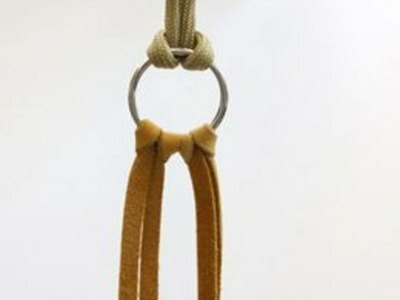 Deerskin is an excellent choice for beginners.